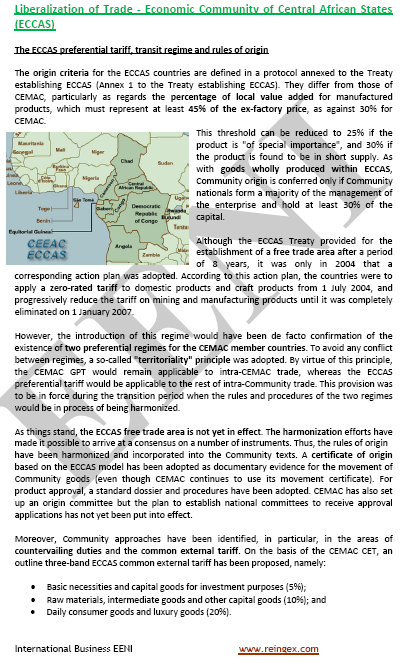 To analyse the role of the affiliated institutions of the CEMAC: BEAC, BDEAC. 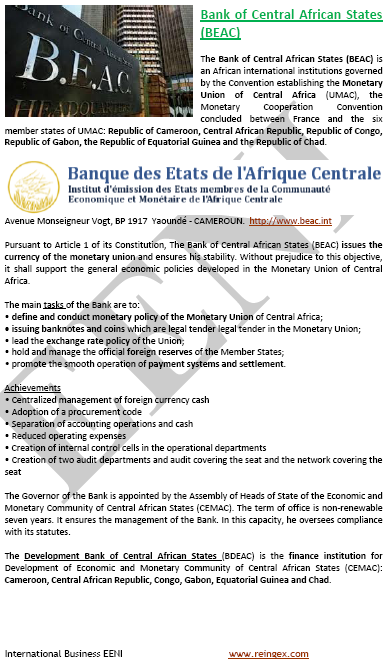 Structure and specialised agencies of the Economic Community of Central African States. Syllabus of the Program: International Conference on the Great Lakes Region. Syllabus of the Program: Southern African Development Community (SADC). Syllabus of the Program: Common Market for Eastern and Southern Africa (COMESA). 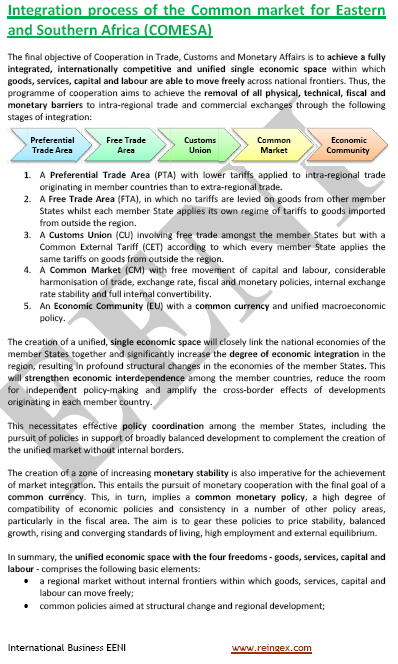 Economy of the COMESA region. Infrastructures in the COMESA region. To analyse the role of the affiliated institutions: Bank of the ZEP, AIRC, COMESA Reinsurance Company, ACA. United States-COMESA Trade and Investment Framework Agreement. 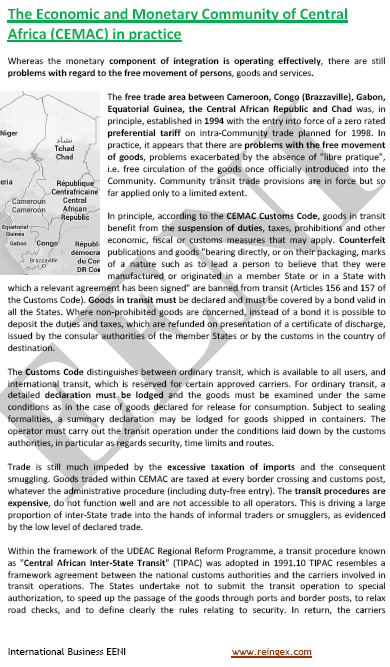 Syllabus of the Program: COMESA-EAC-SADC Tripartite Free Trade Agreement. To analyse the Tripartite programs: trade facilitation, transportation, and non-tariff barriers elimination. East African Community (EAC)-United States Trade and Investment Partnership Agreement. Introduction to the Trade and Investment Partnership Agreements between the East African Community (EAC) and the U.S.
International Trade between the countries of the EAC and the U.S.